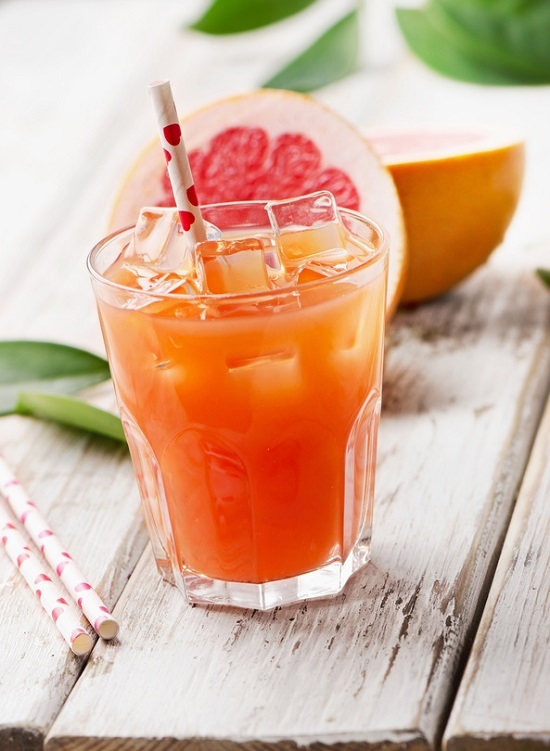 Fresh Squeezed Grapefruit Juice Recipe. ‘Ta-heal-ya’ Sunrise. Vitamin C boost to fight off colds or ease symptoms. Tastes as good as it looks. Easy to make. DIRECTIONS – use a citrus juicer. Juice your choice of orange citrus fruit. Add to a decorative glass. Juice grapefruit. Slowly pour into glass. Return glass to refrigerator to chill. While glass is chilling, fruit juice will separate. The pink grapefruit juice will float towards the top of the glass. The orange citrus fruit will remain towards the bottom of the glass. Giving your glass of juice a ‘sunrise’ effect. DIRECTIONS – run pineapple chunks through a juicer. Pour pineapple juice into a glass. Refrigerate. Peel grapefruits. and orange citrus fruits of choice. Cut away as much of the bitter white membrane as possible. I find membrane is too bitter. I switch to a citrus juicer. Either run grapefruit through juicer. Or juice with citrus juicer. Pour grapefruit juice in separate glass. Refrigerate. Peel orange citrus fruits of choice. Cut away as much of the bitter white membrane as possible. I find membrane is too bitter. I switch to a citrus juicer. Either run orange citrus fruits through juicer. Or juice with citrus juicer. Pour orange citrus juice in separate glass. Refrigerate. Run raspberries through juicer, separately. Divide between 2 decorative glasses. Remove juices from refrigerator. Pour half of the orange citrus juice into each glass. Pour half of the grapefruit juice into each glass. Pour half of the pineapple juice into each glass. Carefully return glasses to refrigerate. Chill until fruit divides into separate layers. And looks like a ‘sunrise’. WHY DO THE DIFFERENT JUICES SEPARATE INTO INDIVIDUAL LAYERS CREATING A SUNRISE EFFECT? 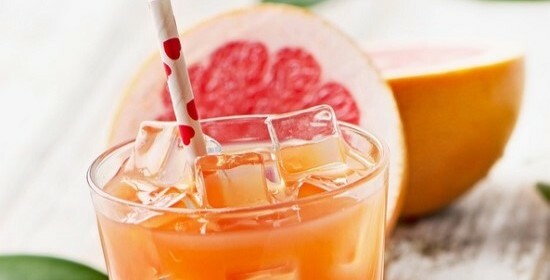 Metatags: Fresh Squeezed Grapefruit Juice Recipe. ‘Ta-heal-ya’ Sunrise. Vitamin C boost to fight off colds or ease symptoms. Tastes as good as it looks. Easy to make.